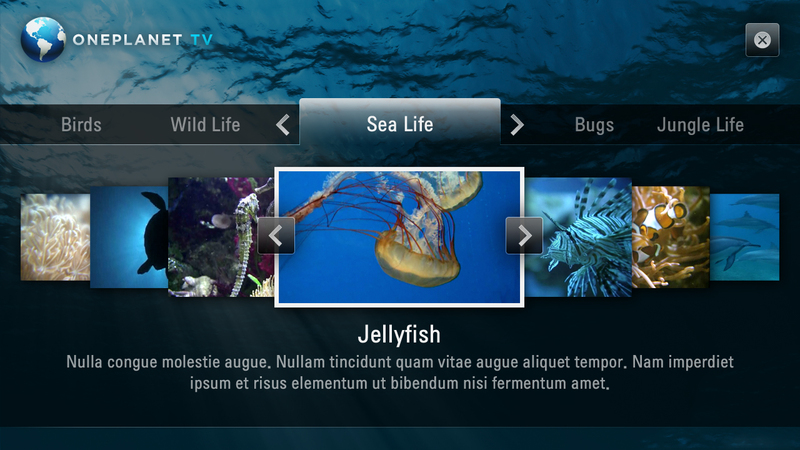 We are delighted to announce the availability today, of a free sample application for the LG Smart TV platform. Beginning today, Brightcove customers can request the LG kit from Brightcove contacting your account manager or visiting this page. LG combines beautiful hardware, the innovative gesture-based Magic Remote and a great software platform. This combines the choice and control that viewers have come to expect from the Internet with the quality viewing experience we all demand from our TVs. As one of the largest consumer electronics companies on the planet, the potential audience on the LG platform would be meaningful to any Brightcove customer, in almost any location. If you've purchased a new TV in the past year or two there's a good chance it runs "apps" of some kind. Not these, but the kind we're accustomed to on our smart phones. The pace of change occurring with our TVs and Blu-ray players each year is now matching what we've seen in the past 30 years with PCs and past 5 with mobile devices. Each year, a new line of consumer electronics devices comes out with updated hardware, more powerful and full-featured software and a significant new flagship feature. In just the past few years we've seen various TVs and their screenless Blu-ray player counterparts get DLNA, 3D, HTML, HTML5. Next year this will continue with UltraViolet, and more polished "Smart" TV capabilities. We can't wait to see what you do with the LG kit this year.